Philippine authorities called for calm on Wednesday after a grenade attack on a mosque in a mainly Christian southern province killed two people, just three days after a devastating church bombing shook the restive Mindanao region. Defence Secretary Delfin Lorenzana on Wednesday said the second of two explosions in the church was "probably" a suicide bombing, but said it was not clear if Daesh terror group was really behind it, as it had not revealed the identity of the "martyr". Daesh has claimed involvement, but the military believe it was the work of the militant Abu Sayyaf group. If confirmed, it would be the second known case of a suicide attack in the Philippines in recent years, following a bomb in a van last July on neighboring Basilan island, which killed 11 people and was claimed by Daesh. 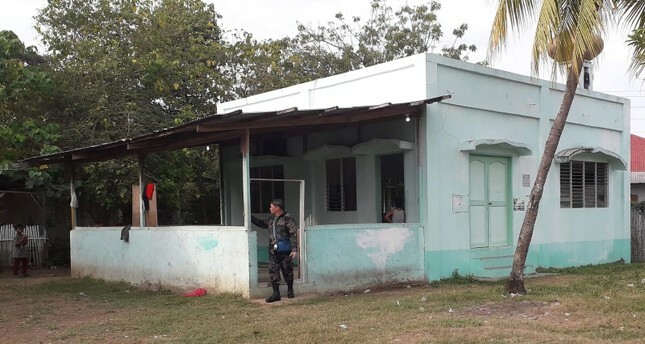 Lorenzana said there was no connection between the church bombs and the mosque attack, echoing remarks by a local task force commander that it was "not a retaliatory act". Zamboanga's Ulama Council called it "devilish, irrational and inhumane", while the regional governor condemned the church and mosque incidents and said an attack during prayers was the "highest form of cowardice and obscenity". "We must stand united against the terrorists who would divide us and, thus, destroy all that we are working to build and establish in our communities," governor Mujiv Hataman said on his Facebook page. The attacks follow a peaceful Jan. 21 referendum that overwhelmingly approved autonomy for the estimated 5 million inhabitants of predominantly Muslim parts of Mindanao that will be called "Bangsamoro", the culmination of a lengthy peace process between separatists and successive governments. Duterte on Monday ordered the military to destroy the notoriously brutal Abu Sayyaf, which has pledged allegiance to Daesh and is comprised of numerous cells with different agendas, some radical, others criminal. He said he would not accept their surrender, adding "the only way to fight them is to become evil also." The bombings, and Daesh's claim of involvement, could stoke fears about the group's reach in Southeast Asia and about foreign fighters gravitating to Mindanao to capitalize on porous borders, jungles, and abundance of weapons and jobless, unschooled youth. Martial law has been in place in Mindanao since a pro-Daesh alliance overran Marawi City in 2017, in what was the Philippines' most intense battle since World War Two.